These ladies also deserve the spotlight. If you're looking for strong, independent women, there are a lot of them in DC’s Wonder Woman. During the shooting of the project, Gal Gadot was surrounded by fierce and fascinating females. We’re talking about the ladies who made up the island of Themyscira, a legion of spear-throwing, sword-wielding fighters. 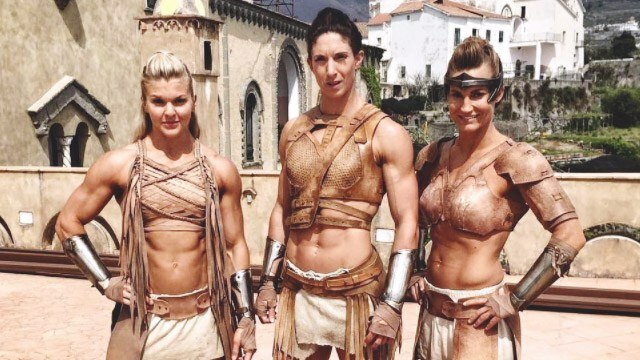 DC got real life athletes, stunt-women, boxers, fighters, and cross-fit coaches and enthusiasts to bring the Amazons of Themyscira to life. This is why the action scenes looked effortless when performed by these toned and fit women. Today, we’re putting the spotlight on these amazing warriors, because just like Diana Prince, they're pretty badass and inspiring. When you get to try your Amazon Warrior outfit on for the first time... ?? #amazon #warrior #costume #stuntactor #athlete #fighter #wonderwoman ? ?? Wonder Woman ?? Today is the day!!!! Seeing it with my family, they're more excited than me...until they realise they will only spot my foot ???? nevertheless I am so proud and still in amazement that I got the opportunity to be a part (however small) of making this iconic movie great! We had 6 months of some weird and wonderful training under the guidance of @pvtlighthouse @wfmft @mario_donato to sculpt our 'Amazonian Abs' and 3 weeks of filming in Italy. Talk about opportunity of a life time! So grateful I could add that chapter, and meeting some of the most amazing women to my life! ???????? Amazons Unite ???????? Just me, @doutzen, @brookeence and @harijamespt taking an amazon-powernap???????? when shooting at the beach in Italy...?? #amazon #warrior #shooting #stuntactor #fighter #athlete #victoriassecret #crossfit #power #WONDERWOMAN ? And here they are letting loose during their break! This looks like one fun crowd!